alphabetical list of links for animal rights, vegan and vegetarian organizations, campaigns, supporters and businesses. a proactive, community based group focused on reducing animal suffering through public advocacy, table-top demonstrations, leafletting, letter-writing and networking with related organizations. discussing all sides of the animal rights, animal welfare, animal conservation and animal use issues. yahoo! group. A directory of animal organizations at a national level, and in Rhode Island. Coalition of animal welfare organizations in the Atlantic Provinces, such as SPCAs, rescue groups, Nova Scotia Humane Society, and private individuals whose interest is to help animals. Includes a list of groups, articles, and photos and profiles of available dogs. animal rights directory with vegetarian, vegan, animal welfare, animal rights and other general animal related links and resources. Links to shelters, rescues, and organizations. Animal rights organizations, books and recipes. paw provides information and resources about spaying/neutering, animal shelters, animal abuse and euthanization. arizona animal psychologist, providing services for animal behavior, dog bite, drug-sniffing dog, and animal abuse cases. a friendly discussion forum covering such topics as animal welfare, vegetarianism and veganism, animal research and animal rights. Links to animal rescue organizations and shelters in the Northern Virginia/Washington, DC metro area and beyond. A non-profit organization to help save animals from unnecessary testing and cruelty. Campaigns to stop animal testing - has information on animal testing, a list of companies who test, and other animal rights issues. non-profit organization providing information about peta and other animal rights organizations. contains news, quotes, facts and links. the animal writes funding project helps humane societies, animal rights and animal welfare groups to promote their causes by offering free or discounted copywriting services. offers 200 free e-mail addresses that promote various animal and environmental issues such as savepandas.com and donteatmeat.com, and raises money for non-profit organizations. The Myrtle Beach Police Department animal control section responds to animal related calls within the city. Contact information and animal control laws are presented. Sells a Dog is Love bumper sticker. All proceeds donated to animal welfare organizations. Responds to animal related calls within the city. Contact information and animal control laws are presented. Providing financial support for humane animal protection projects, emergencies and, organizations. Newsletter, events calendar, and pet adoption information. extensive link list: activists, clothes, companion animals, dissection, experimentation, entertainment, environmental, organizations, vegetarianism and wildlife. for groups which are pro-animal welfare, anti-animal rights. 50 sites. webring. A non-profit organization providing financial support for humane animal protection projects, emergencies and organizations. Includes a newsletter, events, and pet adoption information. animal rights, animal abuse, veganism and vegetarianism. more than 300 sites. webring. If the business hours of Second Chance Horse Rescue Ranch in may vary on holidays like Valentine’s Day, Washington’s Birthday, St. Patrick’s Day, Easter, Easter eve and Mother’s day. We display standard opening hours and price ranges in our profile site. We recommend to check out angelfire.com/sc/schrr/ for further information. 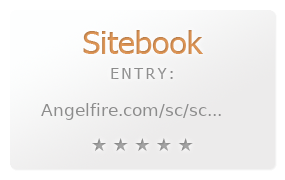 You can also search for Alternatives for angelfire.com/sc/schrr/ on our Review Site Sitebook.org All trademarks are the property of their respective owners. If we should delete this entry, please send us a short E-Mail.